Uglyworld #794 - Flying Froggies, originally uploaded by www.bazpics.com. 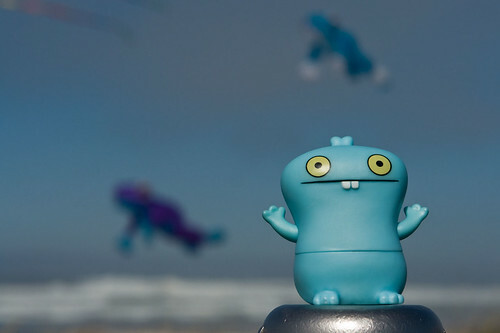 As lunchtime drew closer we parked up at one of the beach carparks of Lincoln City, Babo made a bee-line straight for the beach shouting "Flying froggies". Cinko offered a possible explanation, "I thinks he is losings his minds". It wasn't until the rest of us made it to the side of the beach we realised what Babo had been talking about!